Modern medicine utilizes cutting-edge technology more than ever, so it would only make sense that the powerful handheld computers we all carry around these days could play a big role in wellness. 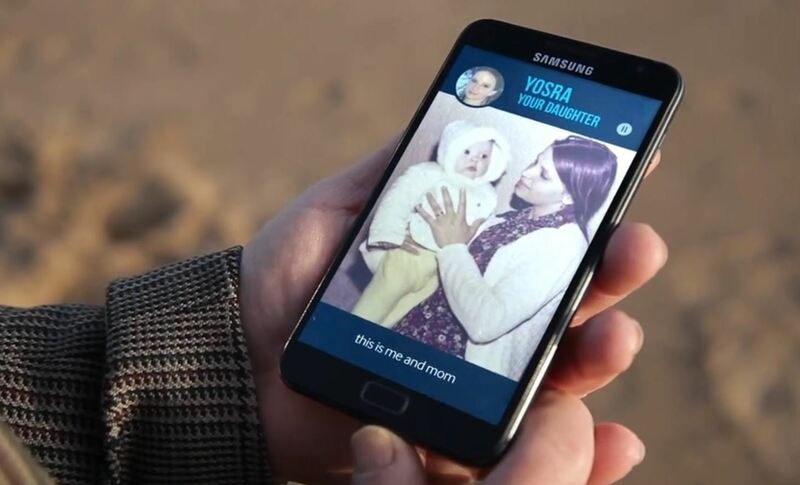 A team of Alzheimer's researchers working in conjunction with Samsung have recently released an app that shows promise when it comes to preserving memory in early-onset Alzheimer's patients. While the app is not a medically-reviewed treatment, its simple functionality could prove to be very helpful. 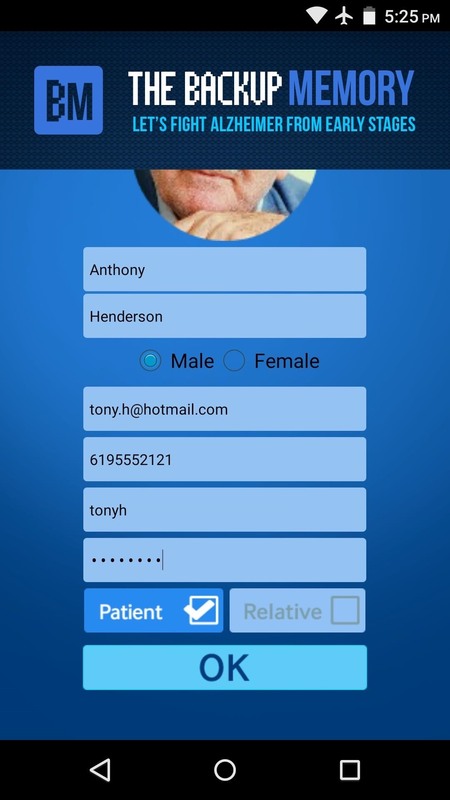 Just install the app on your smartphone, then do the same for your loved one who suffers from Alzheimer's disease. 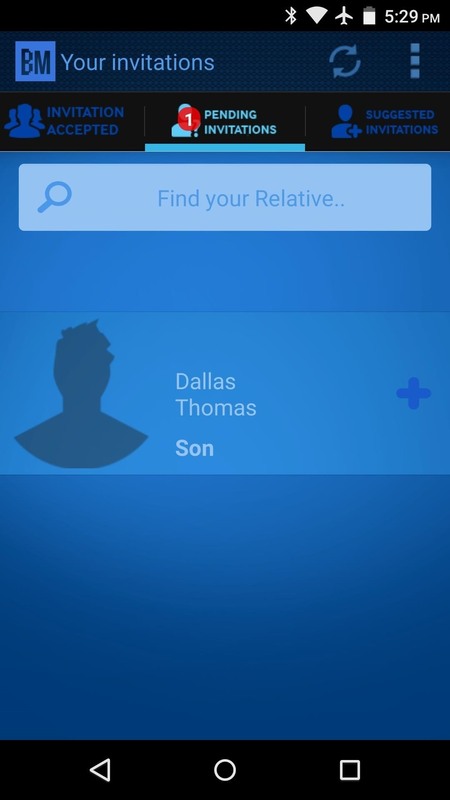 When the two devices are near each other, the Alzheimer's patient will receive a notification that displays your name and relationship, as well as pictures of the fond memories that you share. 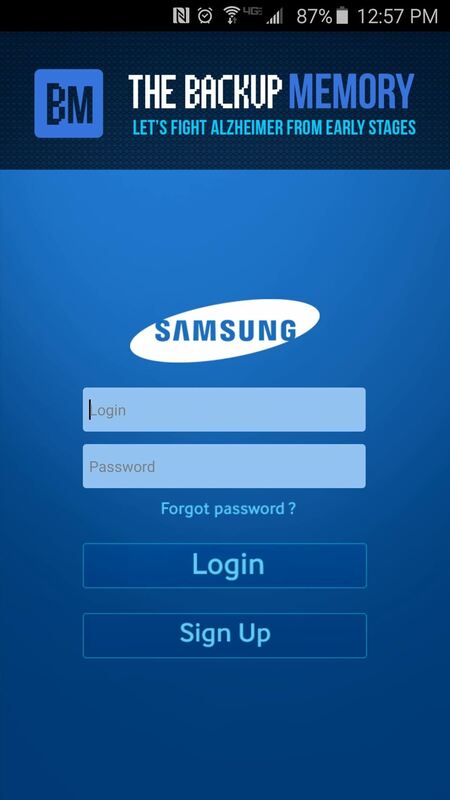 To set this up, you'll need access to both your own Android smartphone, and the Alzheimer's patient's mobile device. There's a bit of juggling that you'll have to do while flipping back and forth between the two devices, but beyond that, it's a fairly simple process. Research has shown that steady and constant mental stimulation in the form of regular reminders of past events can slow down the disease's progression. So, by associating your physical self with image and relational cues, memories are making connections in the brain repeatedly. Think of it as a workout for your brain. Now, we aren't medical professionals, but want to make perfectly clear that this app is meant solely to slow the onset of symptoms associated with Alzheimer's disease in its early stages. At present, there is no cure for the disease. 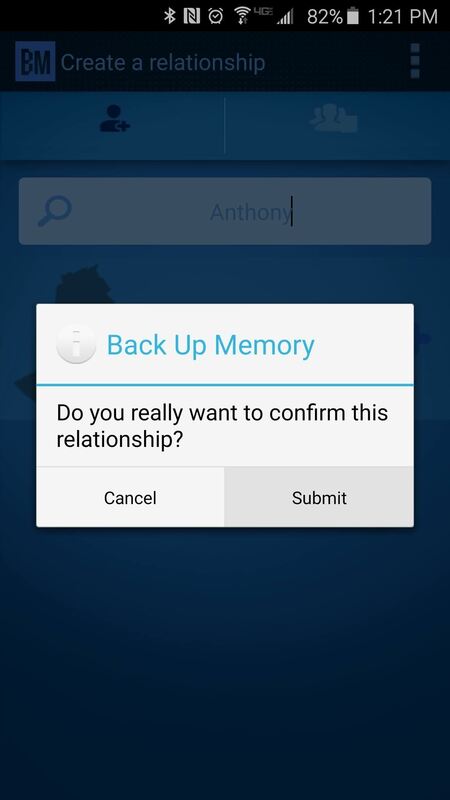 To begin, head to the Google Play Store from your own device, as well as the Alzheimer's patient's phone, then search for and install Backup Memory. 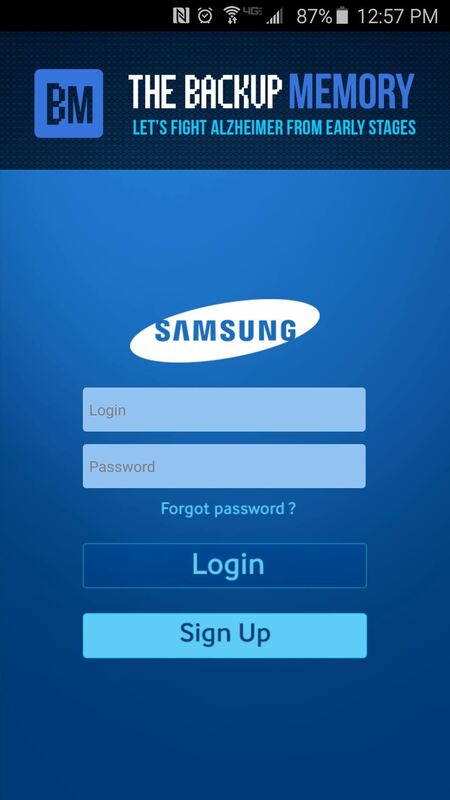 Next, go ahead and open Backup Memory on your own Android smartphone, then tap the "Sign Up" button at the bottom of the screen. 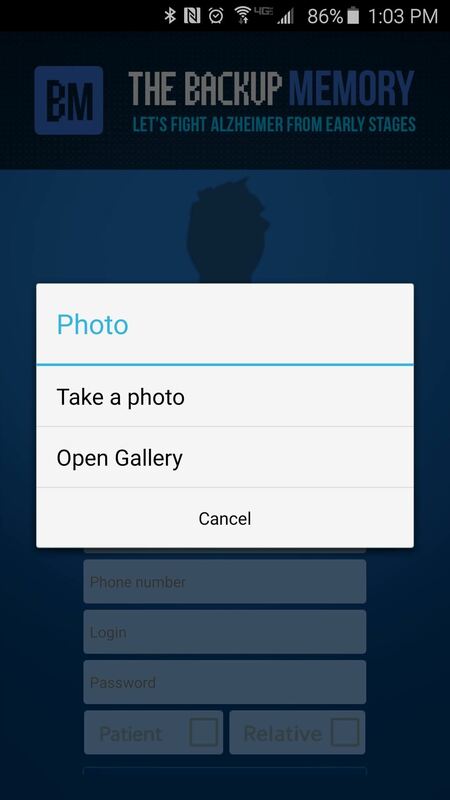 From here, tap the profile image at the top of the screen, then select either "Take a photo" or "Open Gallery" to add a picture of yourself. This is an essential step, since the image you choose here will be displayed on the Alzheimer's patient's device when the two of you are near each other. 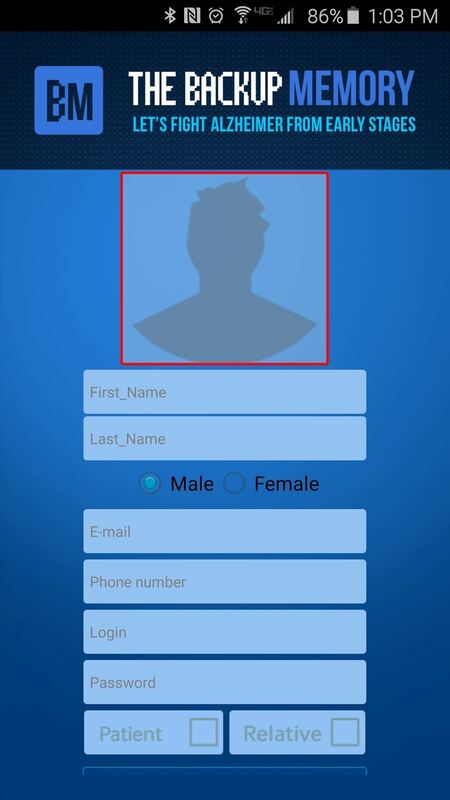 Next, fill out the registration form to create a new account, but make sure to select "Relative" at the bottom of the screen. 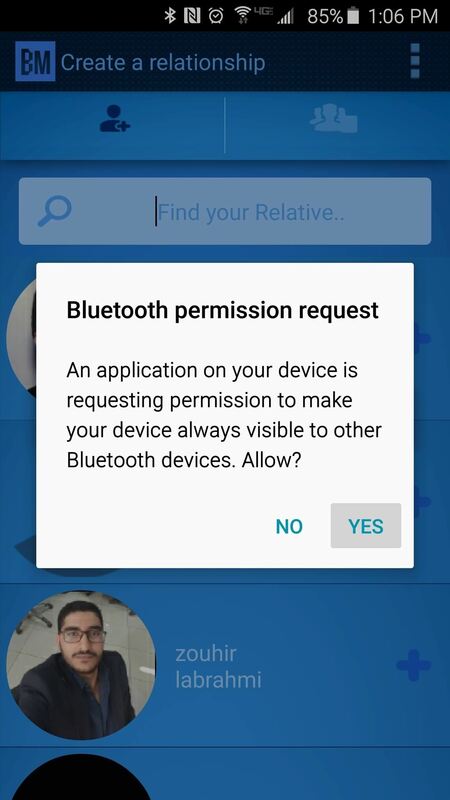 When you're done with that, Backup Memory will ask you to enable its Bluetooth service on your device, so tap "Yes" on this message. 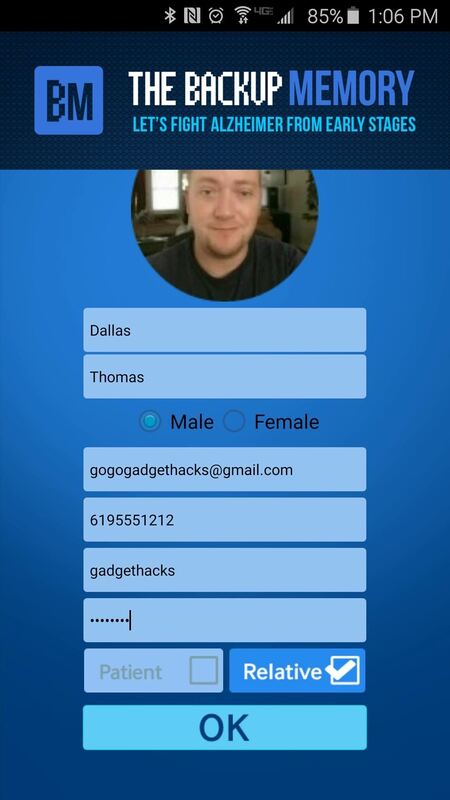 Over on your loved one's Android device, run through this same process to create an account for them. But this time, make sure to select "Patient" rather than "Relative" when you're filling out the registration form. 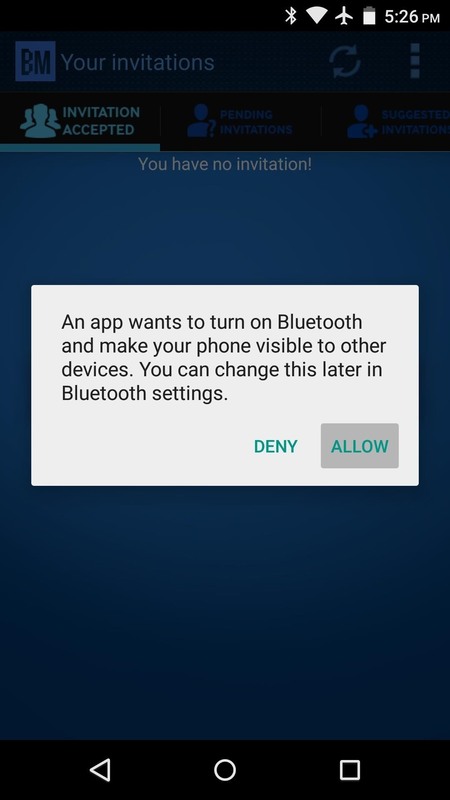 Again, you'll have to enable the Bluetooth feature on this device, so tap "Yes" on the popup after registering an account. 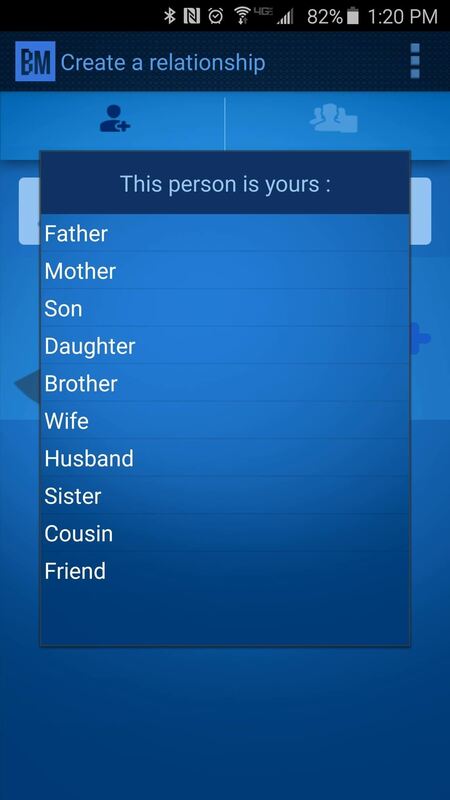 On your own Android phone or tablet, use the search field at the top of the screen to search for your loved one by name. After you find the newly-created account, tap the + button, select your relationship with the Alzheimer's patient, and tap "Submit" on the message that follows. 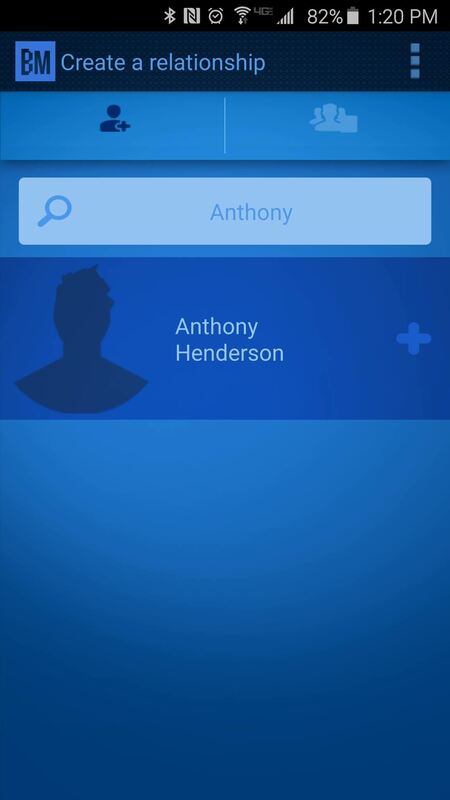 From the Alzheimer patient's device, head to the "Pending Invitations" tab, then tap the + button next to your own profile. 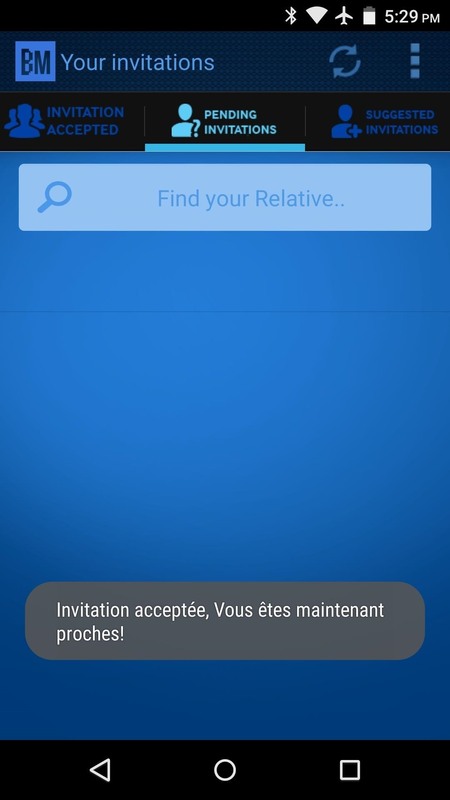 At this point, you'll get a toast message (in French) which informs you that the relationship between the two of you was established. 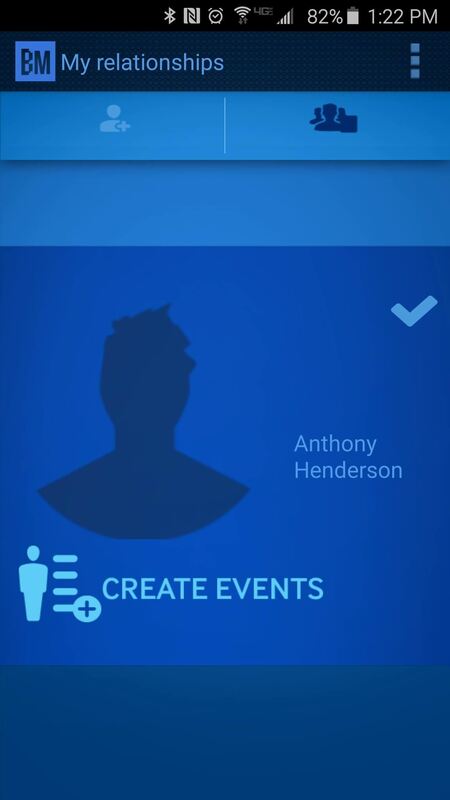 From your own device, tap the "Create Events" button to add a set of photos and memories that the Alzheimer's patient will see when you are nearby. 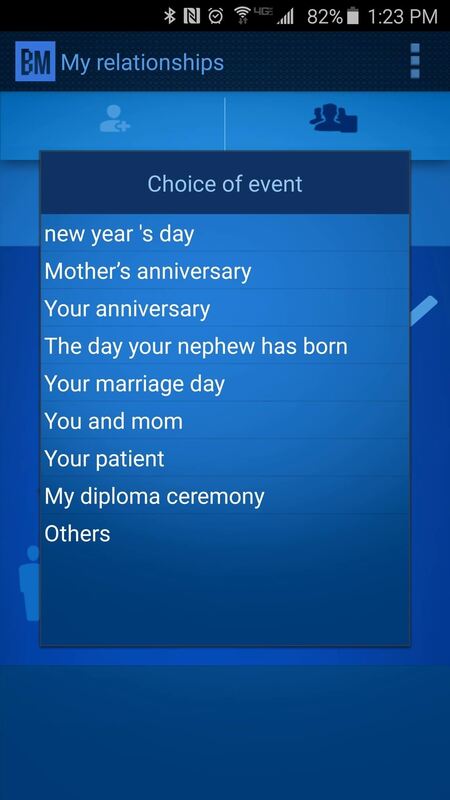 From here, you can choose the type of event, or you can simply select "Others." From here, write a brief description for this memory, then add a photo, and press "OK." You can then repeat this same process to add as many events as you'd like. 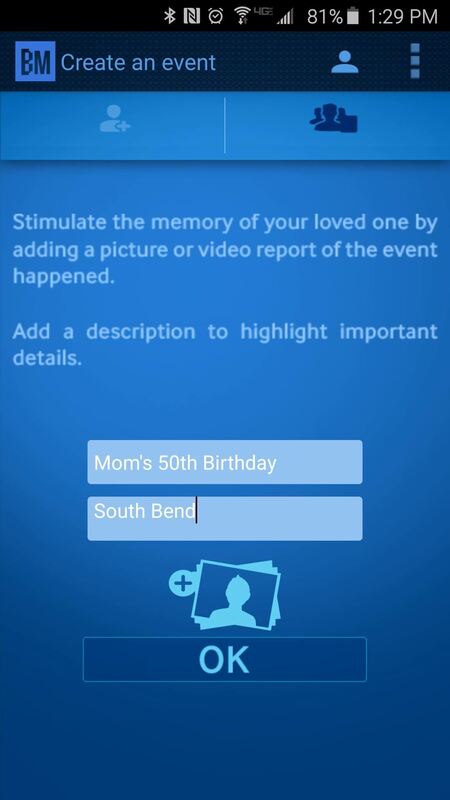 From now on, any time you and your loved one are in the same area, the Alzheimer's patient will receive a notification on their phone, which will display your name, relationship, and the photos that you uploaded. 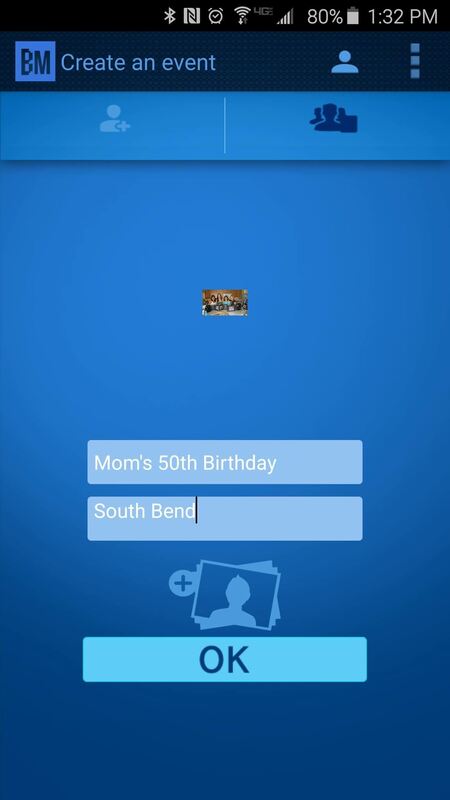 Has this app helped you and your loved one preserve the fond memories that you share? Let us know in the comment section below.